Security in phones is one of the most important features, as it ensures that your personal data, documents, notes, banking details, pictures, and all other pieces even minute information stays protected from unauthorized direct access, information abuse, and theft. However, the data in phones is often subject to hacking and online security breaches, the direct access to the device is also a potential threat for the users. Earlier, we used PIN and Pattern locks for protecting phone access. A text password offers a stronger security measure to phones. However, in order to personalize the use of phones and upgrade its security, companies came up with fingerprint locks, which require registered fingerprint recognition to unlock the phone. This was a smart move towards providing a more flexible, fast, and secure access to mobile phones. And now, with embedded infrared, proximity sensors, and face mapping technology, we have facial recognition as a security pass to unlock your phone. But, which one is a better tool, and which one keeps your phone more secure? Let’s find out. What are Fingerprint and Facial Recognition? Fingerprint Recognition refers to an access control technique that records or captures the bio modalities of your fingers and use them as passcode to gain access to your phone. The friction ridges in our fingers are unique bio modalities and there does not exists similar ridge-patterns among two or more persons. So, there’s no chance of someone else accessing your phone, without prior permission and access grant from you. Due to the distinctive nature of bio modalities used in fingerprint recognition, it is often used for security access in other areas of authentication and identification apart from phones. This includes police records, identification proofs, employee identifications, and in government records. 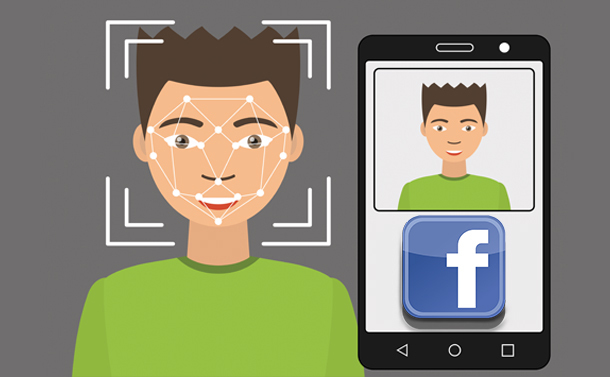 On the other hand, facial recognition captures your facial patterns and facial bio modalities and use them as access pass for security over phones. In facial recognition, the sensors in your phone would map your face on digital nodes, focusing on major facial characteristics such as eye-shape, nose, cheeks, and jawline. A recorded interpretation of these characteristics is fed to a facial recognition algorithm, thus creating a face lock feature for you, which would only grant access to an image, resembling same characteristics as yours. But, Which one’s More Reliable? Both these features are extensively integrated in all phones and even in other devices, thus protecting your data and your device. However, when compared, its Fingerprint Recognition, which surpasses Facial Recognition in terms of both security and reliability. There are certain factors that can be considered to make it a more authenticated debate. Firstly, fingerprint recognition would require the user to touch the sensor in his/her phone to have access to the device. 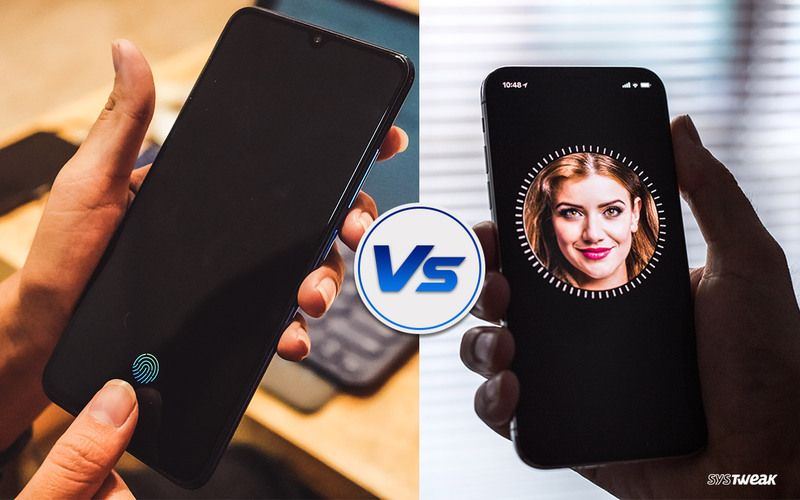 However, facial recognition technique is non-intrusive and thus require only a glimpse of the registered facial characteristics to get access to the phone. So, in facial recognition, the permission to access is not completely in your hand. The similarity in fingerprints is impossible to have access to. The friction ridges are always unique, even among twins, and therefore, there are no chance of security breach without you personally open up the gates to your phones with consent. However, in case of facial recognition, not many phones have been able to provide a hundred percent successful 3D facial recognition. So, in case you don’t own a premium phone, a printed 2D photograph of yours may do the deed of granting access of your phone to unauthorized users. Fingerprints don’t change. The friction ridges may start wearing a bit once a person comes off a high age; however, facial appearance is subjected to change from time to time. Facial recognition sensors also fail due to additional impacts of outdoor lightning, in the dark, or in case a person is wearing makeup. These added elements may cause facial recognition sensors to not map the characteristics, thus leaving your face locked even in your need of use. So, facial recognition techniques can be fooled, they can be accessed without touch, and can be subjected to failure in case of changes in appearance. Apart from these basic limitations, the fingerprint recognition technology is continuously developing and getting upgrades, thus proving more secure and safe in comparison to facial recognition. One Plus 6T became one of the first phones to offer ultrasonic fingerprint sensors. In this case, the fingerprint recognition touch is embedded in screen, which captures a 3D virtual pattern of your fingers’ friction ridges. Due to its 3D nature, the sensor is also able to capture any deformity or void in the ridge patterns, thus offering high level of uniqueness and confidentiality to your phone security. But, facial scanners are also being upgraded into Iris Scanners now. Iris Scanners use infrared beams to capture a pattern of your iris, which is a unique and complex structure of bio modalities. The iris patterns are as unique as friction ridges and cannot be duplicated in any case. But again, the iris scanners are also non-intrusive and can work from a distance, even in the dark. So, that part may again be a risk in case of phone security. Both facial and fingerprint recognition techs have their own advantage. 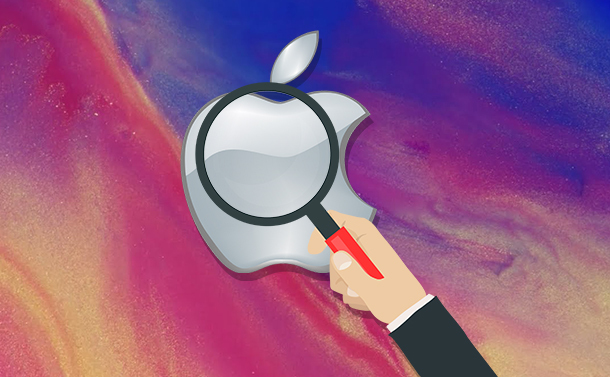 While fingerprint touch IDs have been in the picture for a while now, the facial recognition tech came into light after Apple made an attempt to provide this feature in its Apple iPhone. Both the techs are going under regular scrutiny for bugs and errors and are under constant updating and advancement. However, due to its high level of uniqueness, confidentiality, intrusive nature, and due to its limit of operation without the presence of the registered user, fingerprint sensors remain more secure despite facial recognition’s faster unlock.